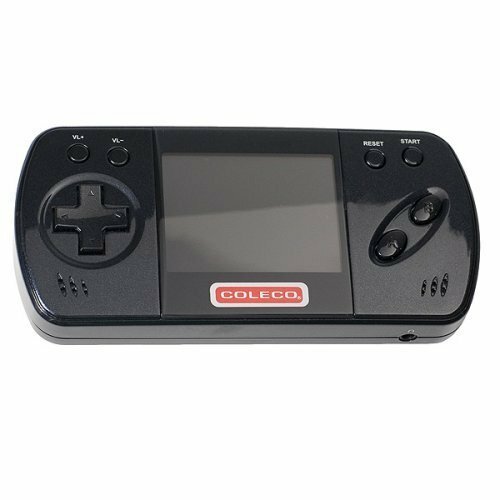 Guys, I know this thread has gone off in a lot of different directions, but please try to keep it on topic with the core discussion being Coleco and the homebrew community. He did a lot of Atari 7800 homebrew games through the years including Brentley Bear's Crystal Quest, Crazy Brix, Failsafe, Armor Attack 2 as examples. Please don't tell me that legendary 7800 programmer Bob Decrescendo aka Pacman Plus, got caught up in this scheme. I am a big fan of his work, and anything he touches is top notch. But I would hate to support Chris Cardillo or any of his posse to get my hands on a copy. Besides if it is an NES game as the screenshots suggest, he may be planning to license it out to future licensed plug -n- play devices like Retrobit Generations et al. I can't stand the shoddy quality of NOAC or YAEB (yet another emulation box) clones, but if this comes out as a physical game developed by Bob himself, I would be very much morally torn to pick up a copy or not, and support an enterprise who bullies it's own fanbase. I've got no beef against the Rainbow Bright franchise, and a good game is a good game, and a crappy game is a crappy game, regardless of what IP is shoehorned into it to sell copies. If rumors are true that our dear PMP is behind development of this work, then the game will be worth playing. This is interesting... some members have made mention of the crap products or non-products that were/were not put out on retail shelves over the past 15 years. I've come across a plug-n-play device that they marketed 12 years ago. This one here looks pretty crappy. And they didn't even use the classic logo anywhere on the packaging. Makes it look like they did not have the rights to do that. 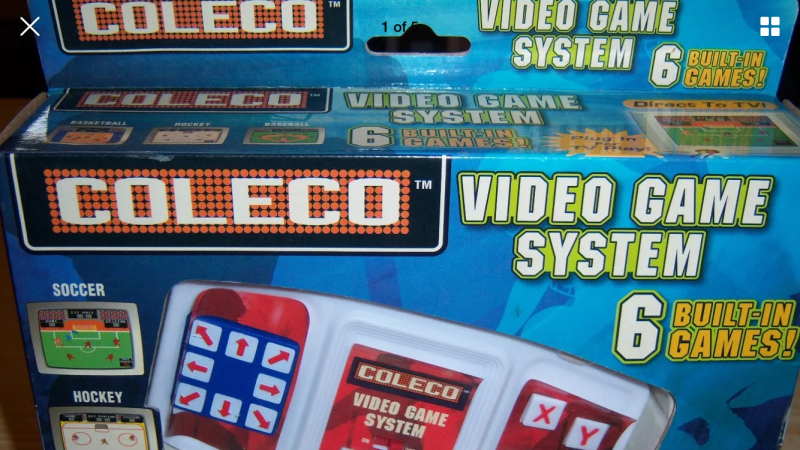 Looking closer, the back of the box says "This product is not affiliated in any way with the former Coleco Industries, Inc. or its successors." Now I can see that this was produced by "Techno Source" under license from Coleco. But I am curious as to why they would expressly state that there is no affiliation with the former company. That said, wouldn't this still be true today? Wouldn't it be true of the CV and the word marks? Those associations and marks were held by C Industries. Edited by enoofu, Wed Jun 7, 2017 10:00 PM. I wouldn't be knocking the game. The game has great potential, but I don't know if the audience exists for Rainbow Brite. I heard of Rainbow Brite back in the 1980's, but I never seen the show or got a toy from that IP. Being a kid of the 1980's, I was more into stuff like Transformers, Hot Wheels, match box cars as examples. I think you would be surprised with how many of us male retro gamer 80's kids watched Rainbow Brite religiously growing up, had the toys, thought the villains Murky Dismal and Lurky were badass, had a crush on Rainbow Brite, remember being excited about getting the horse for our birthday from our wonderful Catholic mothers, etc. and are just in the closet about it. Not that I know anyone here that matches that description! Just saying! Has anyone who was originally planning to go to the Coleco Expo in August decided to change their plans as a result of the recent controversy? Other than you two was anyone else planning on going before the controversy started? Also, does anyone know the backstory of this product? This looks like circa 2006 and appears to be a mini Game Gear with Coleco printed on it. 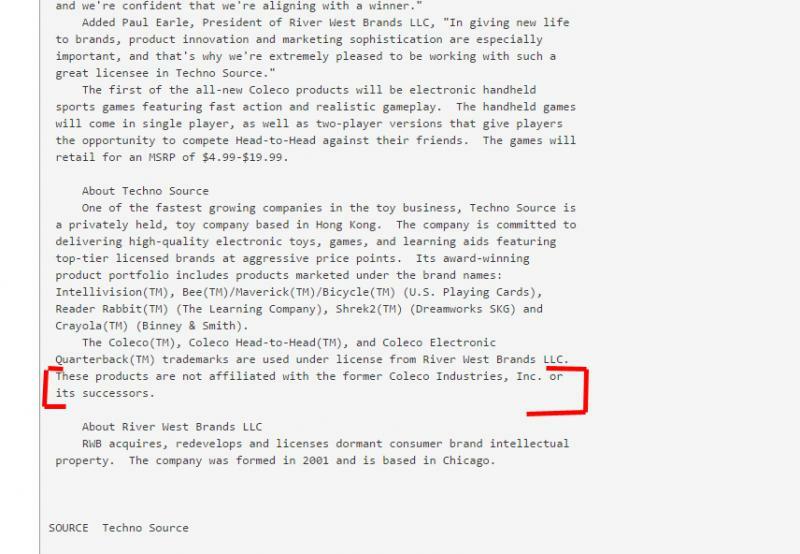 Mr. Thomann in a 2016 interview stated that Coleco Holdings released it. I remember that well. I believe it was an existing thing, with Coleco's name added to it for US distribution. I think this old story about a "new ColecoVision console on the way" is pretty funny. We talked about the Coleco Sonic on this forum back when it was new. It's fun to go back and see how we tried to connect the dots without much information. I was awfully excited about this. Here's something similar called the PlayPal plugnplay, with similar games except this one is advertised as "fully licensed by Sega of Japan". The Coleco Sonic says that "Sega has no affiliation with the Coleco console hardware". 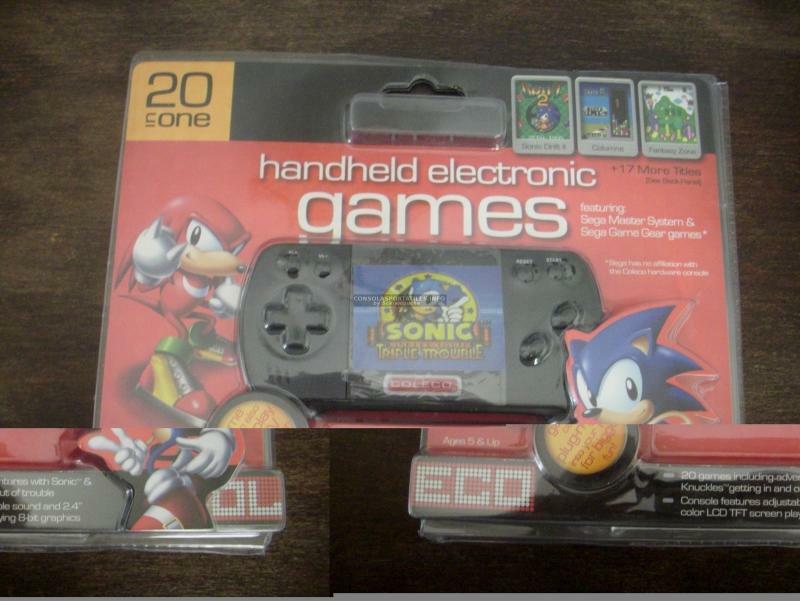 So just like the Coleco Flashback, is RWB copying and selling software without permission on the Coleco Sonic? Edited by mr_me, Thu Jun 8, 2017 8:38 AM. 1. I don't want to give the appearance of supporting any of these jokers, least of all by putting ticket money into their hands, or getting photographed there as if I like them. 2. I guess it would be mildly interesting to see if there's an audience for "intellectual property management & structured and distressed finance" at an event like this. That said, the urge to heckle one of their speakers would be overwhelming. That said, the urge to heckle one of their speakers would be overwhelming. Someone has to go, even if it's just to take YouTube video in the event a mass protest, possible heckling, or just to be there to document any lies, distortions or omissions. And maybe to ask some pointed questions about how they are treating the homebrew community. If anything it might be news to some attendees. Edited by --- Ω ---, Thu Jun 8, 2017 8:52 AM. Based on some of the posts on their FB page I'm thinking there are some that are clueless to how the community has been treated. I feel bad for the people that are going to go and the vendors ... even without this drama I always thought this convention was going to be a ghost town. And it mentions .."or its successors." 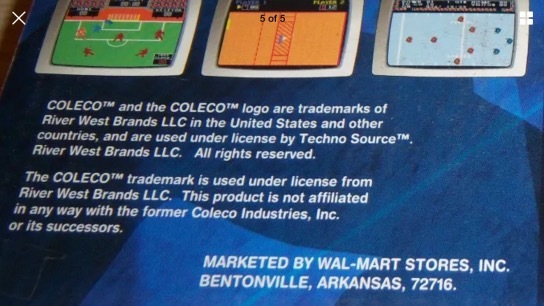 On the back of the Coleco Sonic package it does give credit of game software copyright to Sega Corporation. Last night I burned myself doing some quick work on my ColecoVision. I should have taken this thread as an omen. Edited by DadsGlasses, Thu Jun 8, 2017 11:04 AM. 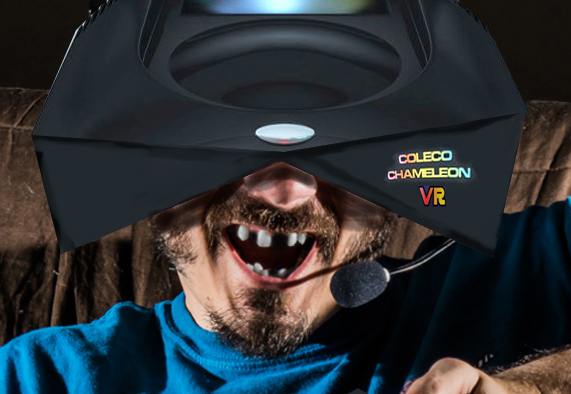 Say, if anyone not affiliated with a certain holding company wants to start selling "ColeechcoVision" t-shirts, I'll buy one if it's under $20.00. It 'appears' that name would be more to the truth... but that is just my opinion. Last. Igbo I. Ironed myself doing some quick work on my ColecoVision. I should have taken this thread as an omen.